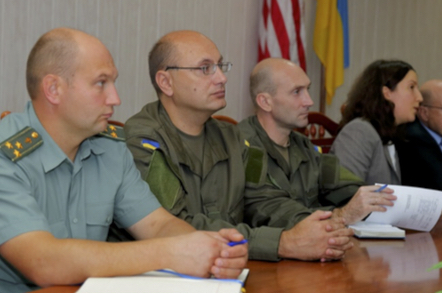 Workshops “Battle fatigue and PTSD” for the National Guard and the Border Troops of Ukraine, conducted by Bill Barko and Richard Stiliha. These seminars share information based on the most up-to-date research and clinical practice protocols. The training is based on many hours of study and review to included extensive discussions with Dr. Charles Hoge, Colonel, U.S. Army Retired and former Psychiatry Consultant to the U.S. Army Surgeon General, Dr. Harold Wain, Chief for Mental Health Consultation Services, Walter Reed National Military Medical Center (WRNMMC) and renowned expert in the area of complex trauma; Dr. Larry Dewey, noted VA Psychiatrist, and Dr. Connie Thomas, psychiatrist, WRNMMC. Two 2 day seminars were held on 21-22 September and 24-25 September. The purpose was to train mental health professionals in the concepts and practices associated with Combat Stress and PTSD. Their clinical practice is with members of the two commands and generally does not involve work with spouses or family members. The training sessions lasted nine hours per day with lunch and two breaks. 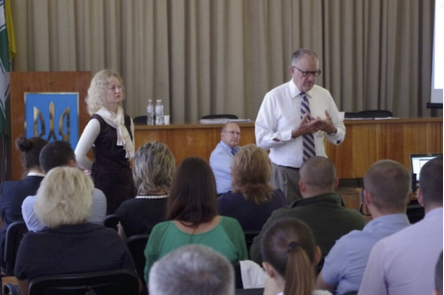 I did almost of the training with Richard Stiliha assisting with live demonstrations and brief presentations on the chaplaincy and grief and loss. 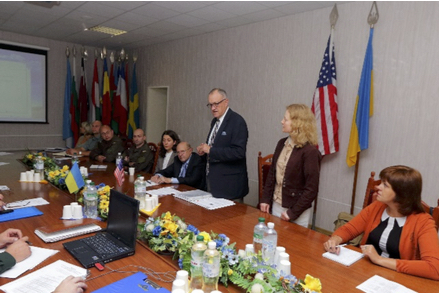 On 21-22 September we trained the National Guard at their headquarters in downtown Kiev. Thirty-two psychiatrists and psychologists attended about a 30/70% mix. The Guard presently has about 60,000 troops. The Commander of the Guard attended the first hour of the first day and provide closing remarks upon completion of the training. The second seminar was for The Border Guard Forces and included 22 psychiatrists and psychologists at again about a 30/70% mix. A general officer from the Boarder Guard provided opening and closing comments during the training. The Border Guard has about 50,000 men and women. They provide support and security at the borders and ports to include the airports. 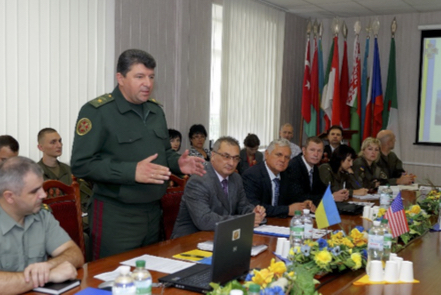 The training was done at the Border Forces main hospital in Kiev. At the conclusion of the seminars, Certificates of Training were provided to attendees.